Piaggio and (RED) extend partnership with Vespa Red | IAMABIKER - Everything Motorcycle! Piaggio and (RED) today announced an expansion of their partnership with the launch of the (VESPA)RED in India. To be launched only in the Indian Market, every sale of the (VESPA)RED will generate money to finance Global Fund grants that support the fight to end AIDS in India. Vespa, a model born to celebrate the beauty of a mode of transport that has achieved legendary status, was the first (RED) partner to bring an automotive product to market. The partnership was first unveiled at a Global Fund event attended by Bill Gates and Government Minsters in Rome in June 2016. (RED) has been raising money and awareness for the fight to end AIDS since 2006, generating more than $475 million dollars to date with a focus on supporting Global Fund grants. For the first time, money raised through sales of all (VESPA)RED products in India will go to support Global Fund grants right in India – programs with a specific focus on ensuring that HIV+ women have access to the services they need to ensure their babies are born HIV FREE. 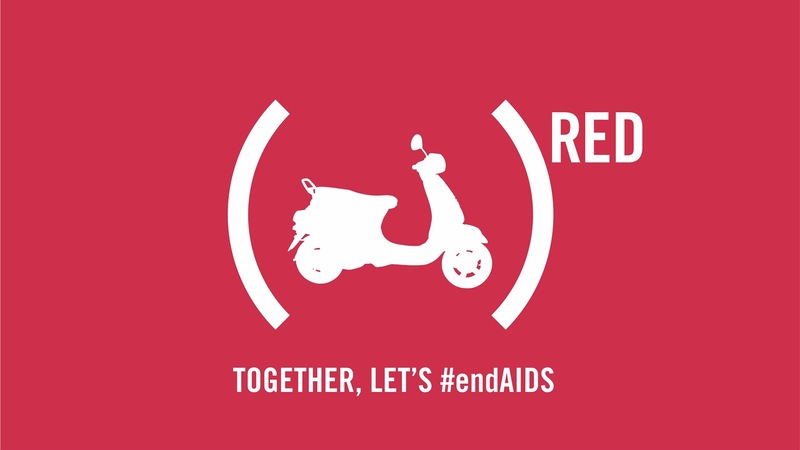 Each (VESPA)RED sold can provide more than 165 days of lifesaving antiretroviral medication – medication that can help keep a pregnant mother alive and prevent her from passing the virus to her unborn baby. Throughout its history, Vespa has been surpassing a bike’s core function as a simple and elegant vehicle and turning it into an extraordinary testament to its time, interpreting societal change and evolving accordingly. As such, funding an international project of such high social sensitivity is wholly consistent with Vespa’s values and DNA. For latest news and reviews in your mail box click HERE to subscribe to our daily newsletter! Click HERE to Download our APP for all the action right on your mobile device!